Lakme Youth Infinity Skin Firming Night Creme Review: Is it effective? 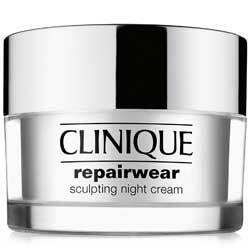 What Is Lakme Youth Infinity Skin Firming Night Creme? Improve micro-circulation and cell nutrition. Although it contains certain ingredients that can cause skin irritation. Lakme is a beauty and cosmetics company with roots that can be traced to India, with over 50 years of research and development into the best formulations that help restore healthy skin and beauty. 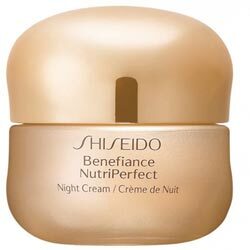 What Are The Ingredient In Lakme Youth Infinity Skin Firming Night Creme? Insta-Collagen Boosters: Helps restore your skin’s firmness, tightness and elasticity by improving collagen production rates which, in turn, enhances skin synthesis, provides sufficient skin precursors necessary to fuel the many natural healing mechanisms of your skin. Luminizing Pearls: Instantly enlivens and restores your skin’s youthful appearance using ingredients that reflect back light, giving an illusion of a softer, more flawless complexion. Niacinamide: Promotes healthier circulation and supports the reviving of your otherwise sluggish skin by powering up your skin cells’ energy centers; also supports the refortification of your skin’s protective outer layer. However it causes rash, itching, and other problems. Retinyl Palmitate: A more stable form of Vitamin A, this ingredient stimulates faster skin turnover and regeneration. 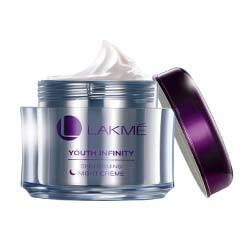 Apply Lakme Youth Infinity Skin Firming Night Creme to your freshly cleansed and thoroughly toned skin at night. Take a generous amount then spread evenly across your face, neck and chest with gently massage. It contains Niacinamide as a antioxidant ingredient,However it causes rash or itching on skin. 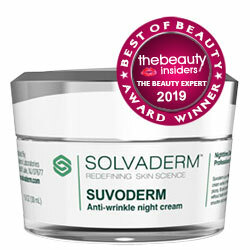 Product contains retinyl palmitate, a retinol derived ingredient that is likely to cause increased photosensitivity which means your skin becomes more easily damaged when exposed to sunlight. Product contains BHT, a suspected carcinogen which has already been correlated with the development of cancer cells in mice. Product contains polyethylene glycols (PEG), toxic chemicals that have a strong affinity with 1,4 dioxane, a carcinogen, and can become easily contaminated during the product manufacturing process. Product contains butylene glycol, an ingredient that has been reported and observed to easily cause skin to become irritated and inflamed. Lakme Youth Infinity Skin Firming Night Creme is formulated with a complex that provides short-term and long-term benefits to your skin. However, ultimately places the burden of discerning the effectivity of this product on how your skin responds.